This post is written in collaboration with Organic Valley, all opinions are mine. I’ve never been one to truly enjoy a glass of milk. I wasn’t raised in a family that served milk with dinner and outside of drowning a fresh baked chocolate chip cookie, I rarely drank milk. 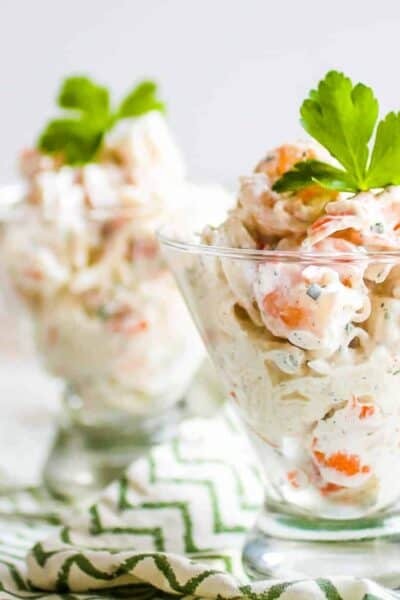 That being said, other forms of dairy like cheese, butter and cultured dairy products have always been a favorite. My dad is the one who initially brought up the subject of high-quality milk to us about 15 years ago. He planted the seed that conventional dairy is not healthy and we should seek out better sources…. That one simple conversation is what completely transformed our lives to one focused on healthy living. From hours of reading and research I began to understand how dangerously unhealthy so much of the standard American diet is. And that we do, honestly, have the choice to choose better. We had already been growing a backyard garden and were landscaping with edibles, but transitioned our efforts to only organic. Shortly thereafter we built our chicken coop and have been enjoying free-range eggs from our backyard chickens ever since. We found amazing farmers (who are now practically family) who share our compassion for nutrient-dense quality and sourced the best brands at the grocery store. We’ve been on this journey for 15+ years now, while it’s easier now, I still remember what it was like in the very beginning. It’s also so confusing. There’s labels and health claims. There’s unproven healthy advice and conflicting information everywhere. I want to help you make better choices. 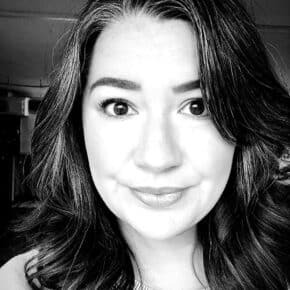 I want to make your journey easier and help you cut through the BS. First things first, I’m going to share the honest truth. I’m pretty darn passionate about Raw Milk from organic pasture raised cows HOWEVER that’s not the right choice for everyone. For the vast majority of you, you can’t just grab a gallon at your local grocery since there are super-silly laws against raw milk.. at the very least when it’s available in your state you might have to shop at a specialty store or buy directly from the farm. And (again being honest) you may not be ready to take the plunge into raw milk, it’s a decision that takes lots of sole-searching and critical farmer-research. 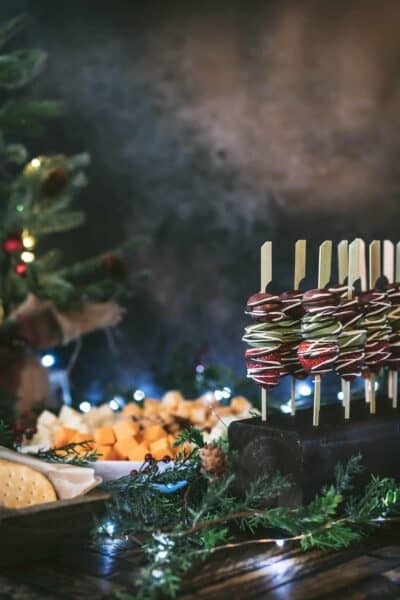 What I want to share with you today is the BEST choice for everyone, EVERYWHERE, when it comes to upgrading to high quality dairy. 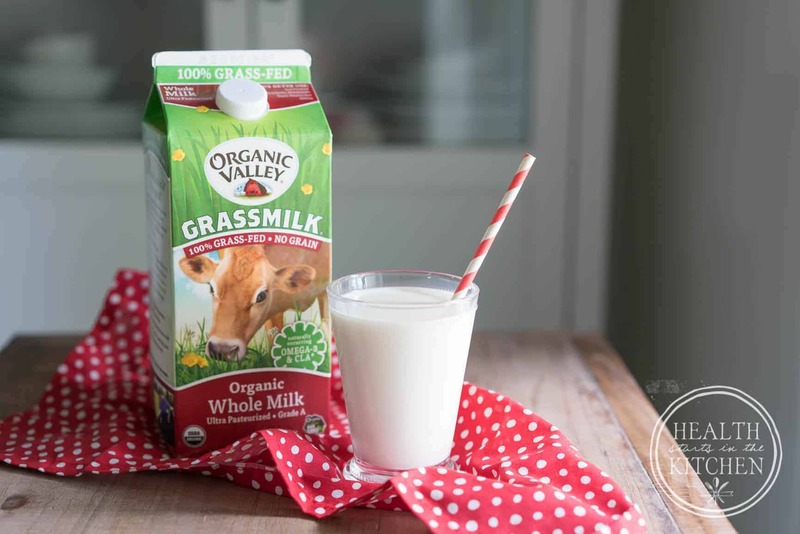 If you not only drink milk, but eat ANY DAIRY and want to prioritize your health, the easiest way to upgrade your dairy is by choosing GrassMilk. 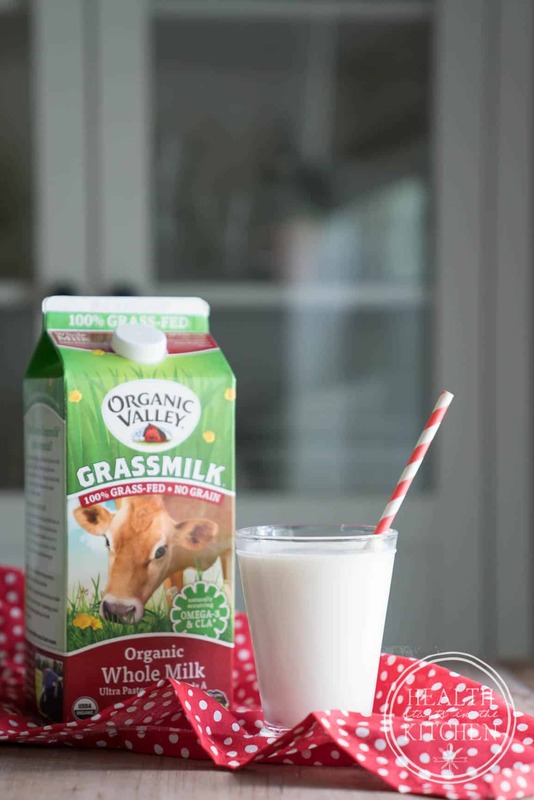 GrassMilk is a classification of dairy brought to you by the amazing folks at Organic Valley Cooperative, it’s not just milk it’s an entire line of high quality dairy products. 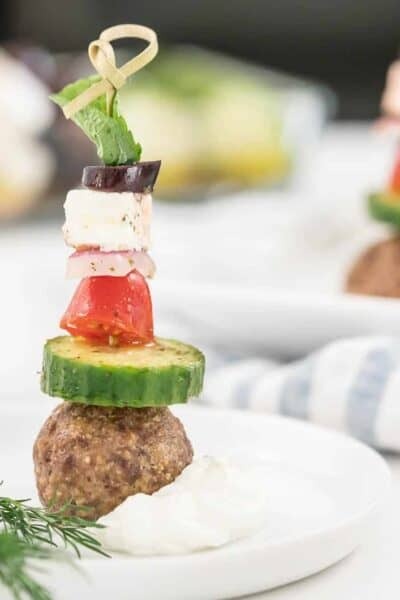 So even if you are like me, who isn’t drinking milk by the glass, it’s still imperative for your HEALTH that you are choosing GrassMilk for all your dairy needs; yogurt, half and half, cheese, etc…. Only drink milk in coffee?? No problem! 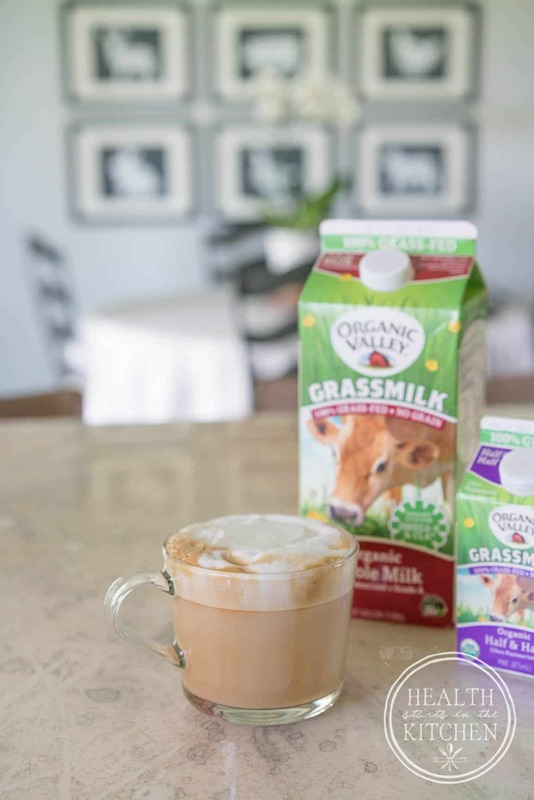 Choose Organic Valley GrassMilk Whole Milk or Half-n-Half ! I take my morning coffee very seriously. I only use locally roasted, organic espresso beans and half & half frothed to 140 degrees… I choose half & half to keep my body fueled on healthy fats, while avoiding the extra carbs. In a peer-reviewed paper published in Food Science and Nutrition, researchers found that 100% grass-fed, organic whole milk has exceptional amount of important nutrients. The study analyzed milk from cows who are fed a diet that is exclusively grass and legume forage, with no grain rations*, and compared it to conventional whole milk. 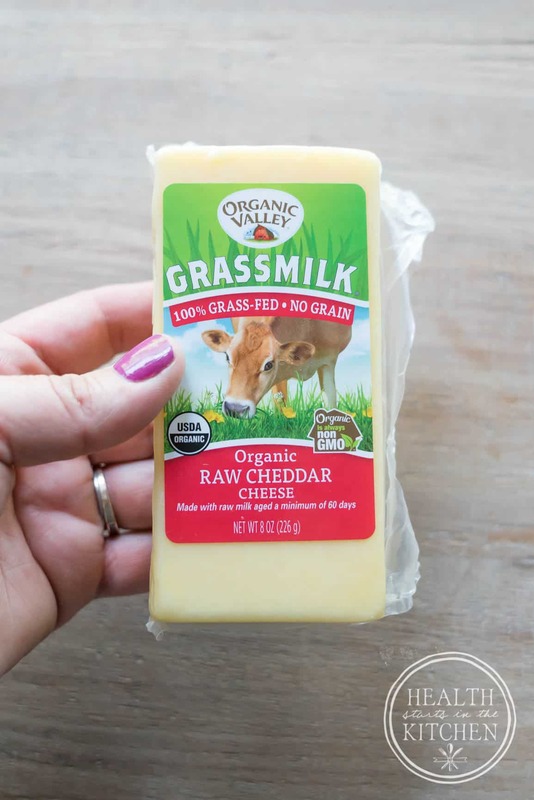 More than 1,100 samples of Organic Valley whole Grassmilk were taken over a three-year period from Organic Valley farmers who specialize in producing grass-fed, grain-free dairy. Those samples proved that cows who are fed a grain-free diet composed of forages such as alfalfa and clover produce milk with enormous potential benefits for humans. Why? Because of the direct relationship between what cows eat and the levels of essential fatty acids in their milk. In other words, when cows eat well, so do humans. 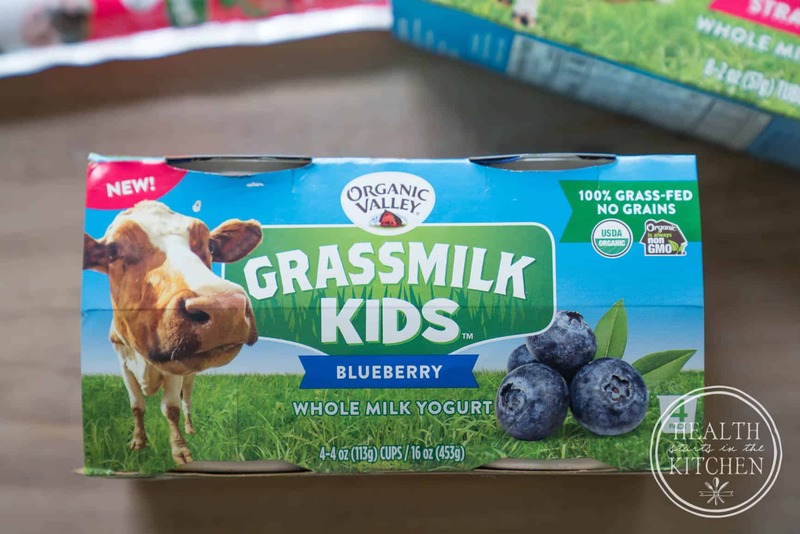 More Omega-3s: GrassMilk contains 147% more omega-3s than conventional whole milk and 52% more omega 3s than organic whole milk. 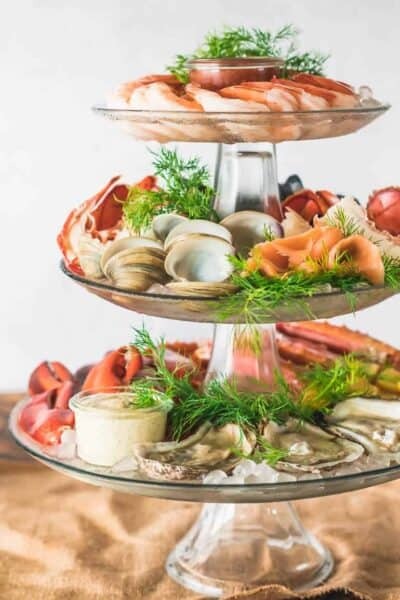 Omega-3s are beneficial fats that have been linked to brain and eye health, especially in young children and developing fetuses. Balanced Omega-3 to Omega-6 Ratio: The improved fatty acid profile in GrassMilk and dairy products brings the omega-6 to omega-3 ratio to a near 1-to-1, compared to 5.7-to-1 in conventional whole milk. 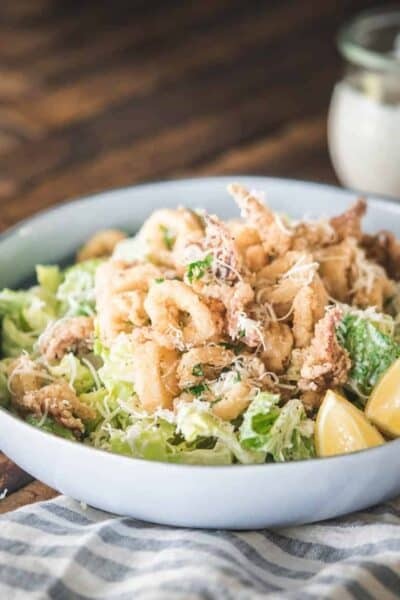 In the U.S. today, consumers eat 10 to 15 times more omega-6s compared to what they eat in omega-3s, which is negatively impacting their health. More CLA: Contains 125% higher Conjugated Linoleic Acid (CLA) than conventional whole milk and 90% higher CLA than organic whole milk. Studies have shown that CLA can boost immunity, heart health and cancer prevention. Better for the Environment: In well-managed grass-fed operation, like Organic Valley Farmers—where cows are regularly moved to fresh pasture, their manure replenishes the soil, improving the quality of the forage growth, which in turn reduces erosion and water pollution. Supports Local Farmers: With its regional model, Organic Valley’s milk is produced, bottled and distributed right in the region where it is farmed to ensure fewer miles from farm to table and to support our local economies. 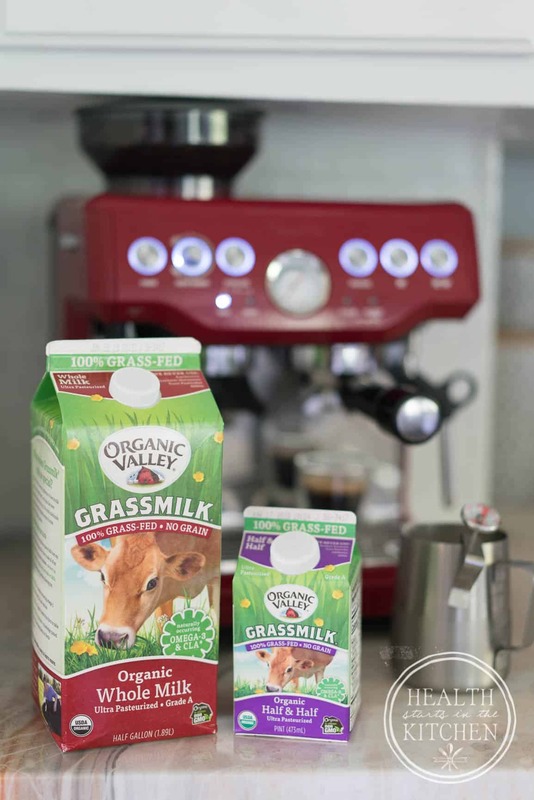 So no matter what dairy product you or your family enjoys, Choose GrassMilk! 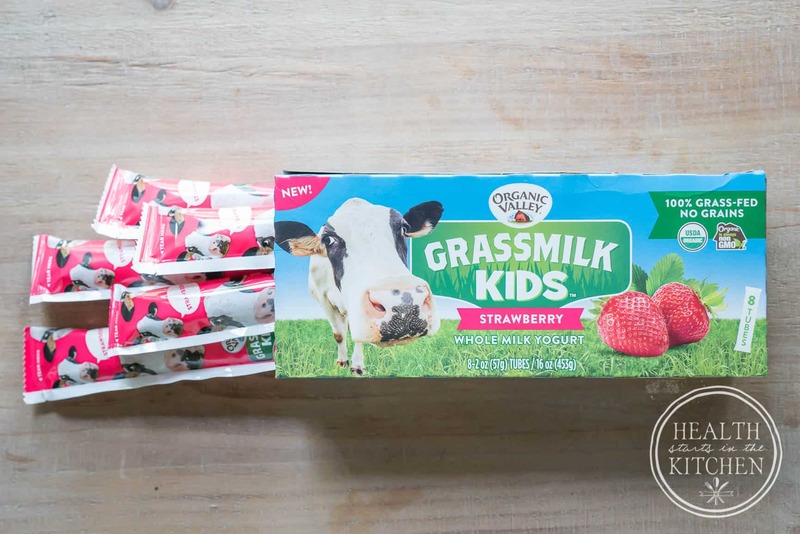 With the GrassMilk Kids like you have options like yogurt tubes and small, kid sized servings.. 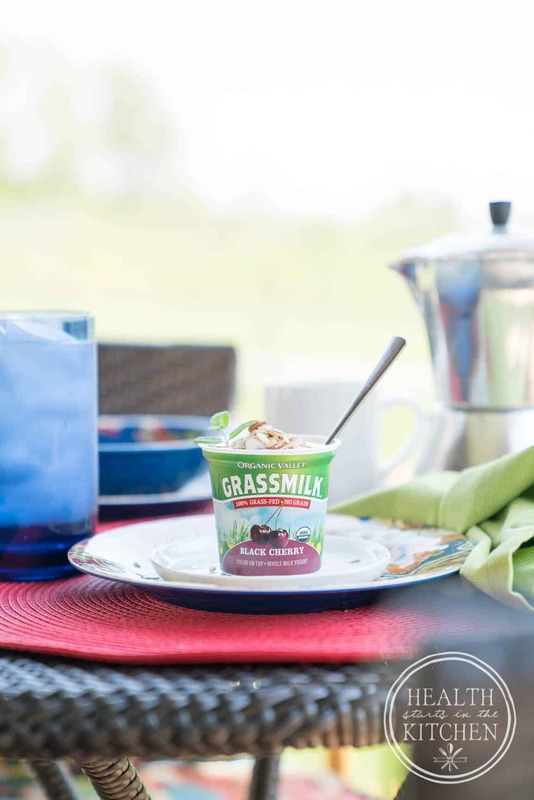 I personally can’t get enough of GrassMilk Yogurt, It’s so delicous and healthy. I like to top mine with a little nuts for some crunch! and cheese. We MUST mention Organic Valley’s GrassMilk Cheese. Lastly, I want to gently remind you that every single dollar you spend is a vote. And while undoubtedly you are voting for a product, voting for a brand and voting for farming practices… at the very same time what you aren’t voting for is equally important. 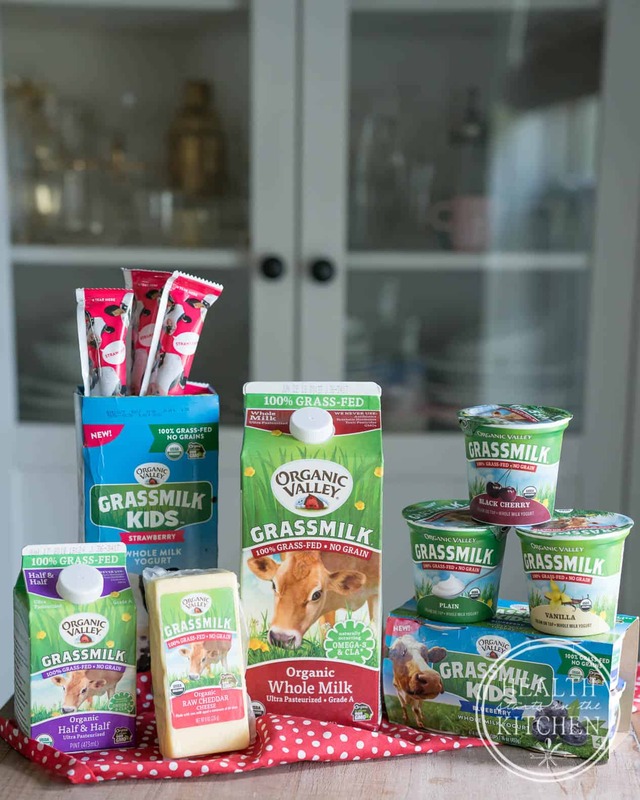 When you spend your hard-earned dollar-votes with outstanding companies on amazing products, like Organic Valley’s GrassMilk, you are taking money away from corporations who’s business practices and products are destroying our planet, our health and local small farmer’s livelihood. While you might think that one little purchase won’t make a difference, it does. Every single penny counts. We are seeing every single day how the landscape of our food system is changing, with companies like Organic Valley and products like GrassMilk becoming widely available everywhere. It’s only possible because WE have demanded it. I know what you are going to say, but Hayley, higher quality dairy is more expensive! And you are 100% correct. However you inevitably will pay the price either in preventative healthy foods or disease management. It’s your choice. We CHOOSE the areas to stretch our budget, and it’s time to CHOOSE the Highest Quality Food. I am changing the world AND prioritizing my health with every purchase I make, are you? Thank you for this information on raw milk. Very helpful. Would it be possible to get the brand of the red cappuccino maker in one of the photos for this post? It’s a Breville Espresso machine. It’s awesome!